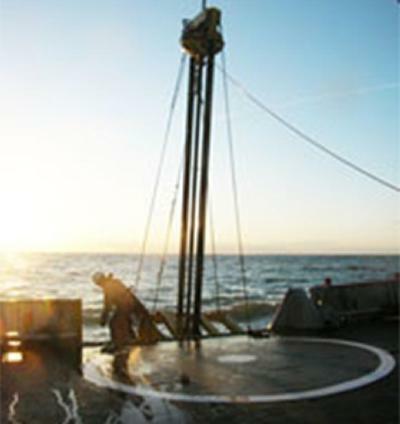 The University of Southampton has entered into a research agreement with The Crown Estate to provide specialist expertise to projects involving the seabed and near surface geology of UK waters. The Crown Estate manages the seabed out to 12 nautical miles and approximately half of the foreshore around the UK. Marine research is crucial for informing projects on its marine estate, including offshore renewable energy projects which The Crown Estate grants lease agreements for. The agreement made with the University is part of The Crown Estate’s initiative to establish a network of quality research providers, creating a series of expert ‘nodes’, which are each broadly focused on a particular scientific specialisation. Southampton joins other higher education institutions, including the universities of Durham, St Andrews and Swansea, as a research partner of The Crown Estate. Ocean and Earth Science at the University of Southampton, which is a hosting partner of the National Oceanography Centre, Southampton (NOCS), has well established expertise in the interpretation of seabed geology and has previously undertaken research on topics as wide ranging as the landscapes associated with the earliest human occupation of the British Isles; the dynamics of offshore sandbanks; coastal habitat mapping of the seabed in the English Channel; and the detection of buried objects in underwater environments. Southampton’s first project with The Crown Estate will investigate the distribution, origin and evolution of coarse sand deposits on the continental shelf. This work will provide essential background information for The Crown Estate in terms of asset management, but will also provide invaluable data for a range of seabed users including the marine aggregates industry and renewable energy sectors, as well as scientists interested in the recent geological history of the British Isles.